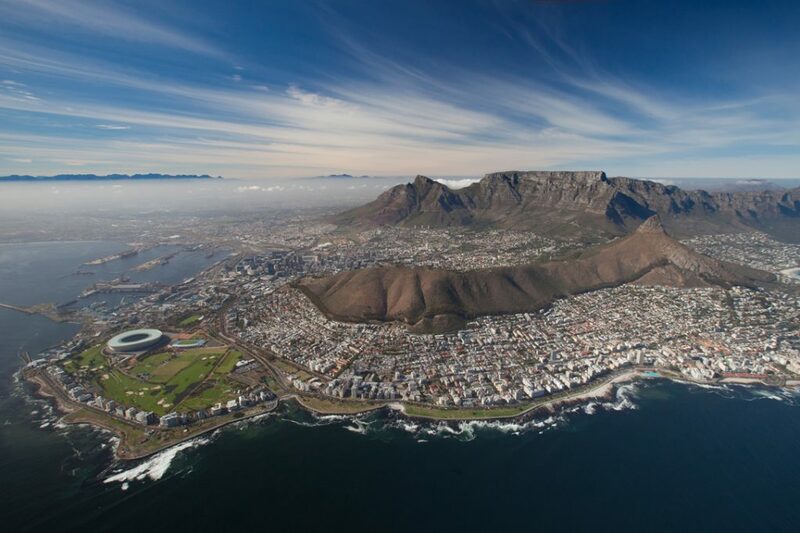 Cape Town's South Peninsula is home to a plethora of beauty and charm. As the most south-western tip of the African continent, this area hosts some of the most exquisite landscapes, wildlife and history. 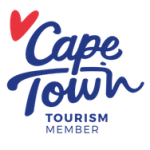 There is so much to do here that we recommend setting aside a few days on your trip to Cape Town to explore all the hidden gems.Our Cape Peninsula Cruise, and Cape Peninsula Adventure Tour, are two of our favourite experiences as our guests are always overwhelmed by the peninsula's rapture. 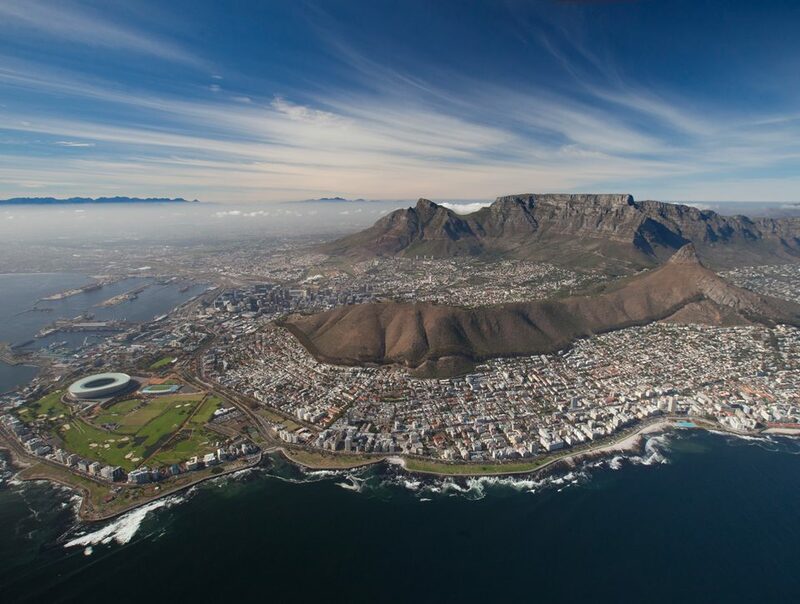 As expressed by explorer Sir Francis Drake in 1580, “this cape is the most stately thing and the fairest cape we saw in the whole circumference of the earth”.At Saffa Tours, we want our guests to experience more than just the tourist traps and to-dos. 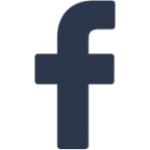 We offer experiential, tailored tours that goes beyond expectation. The South Peninsula is bursting with activities and sites to explore, and we like to do it in the most immersive ways possible.Sometimes it is tough to narrow down your trip, so we thought we would give some insight and share our Top 10 South Peninsula Pursuits with you. 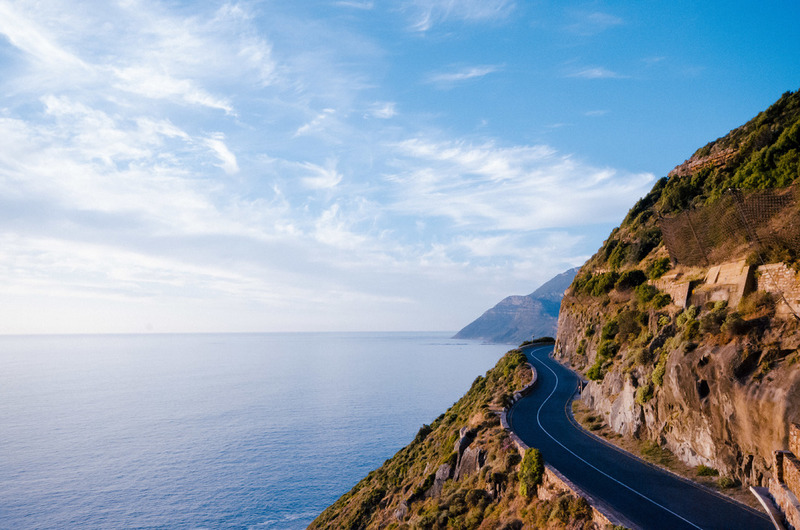 Tucked between the rocky Atlantic Ocean and Table Mountain National Park, Chapman's Peak Drive (or "Chappies") is one of the most scenic ocean drives in the world. This 9km winding route, characterised by 114 curves, forms the gateway between central Cape Town and the South Peninsula. Chappies was initially constructed during the First World War but has had a lot of reconstruction and maintenance since then. We love driving this route and stopping along the way to enjoy a home-brewed coffee or a good photo opportunity. As new residents of the South Peninsula, the African Penguin Colony only came to settle at Boulders Beach in 1983. 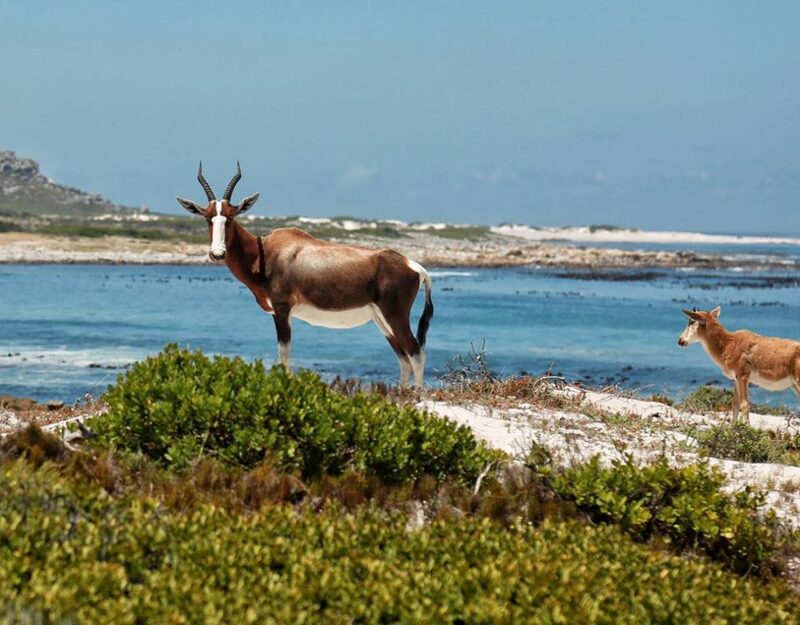 Now we are lucky enough to see and experience these wonderful creatures at one of the most picturesque beaches in the cape. The conservation efforts of local authorities have ensured that the colony remains protected here, with just over 3000 birds residing at Boulders. Although you get a great view from the land, one of our favorite activities is stand-up paddle boarding in Boulders, to get the real experience from the water. Cape Point Nature Reserve, or Cape of Good Hope, lies at the very end of the peninsula, 60km south of Cape Town. It is not only a historical and symbolic site, but also a pristine natural landscape with indigenous plants and animals, such as ostrich, zebra, and baboon. 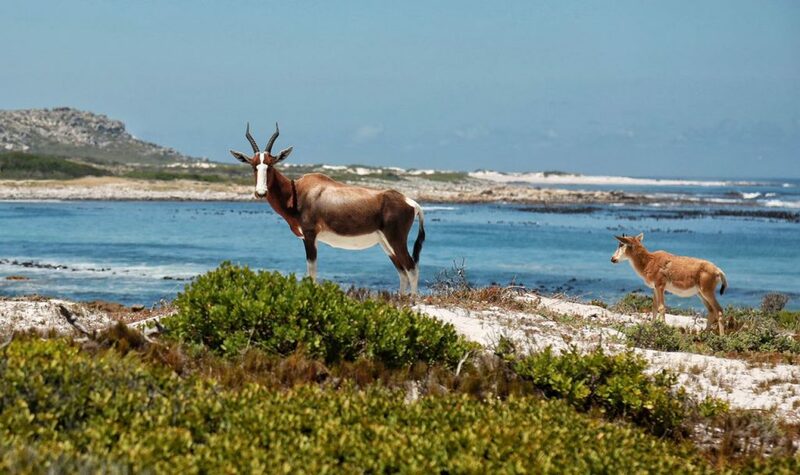 You can also see South Africa’s largest antelope here, the eland. 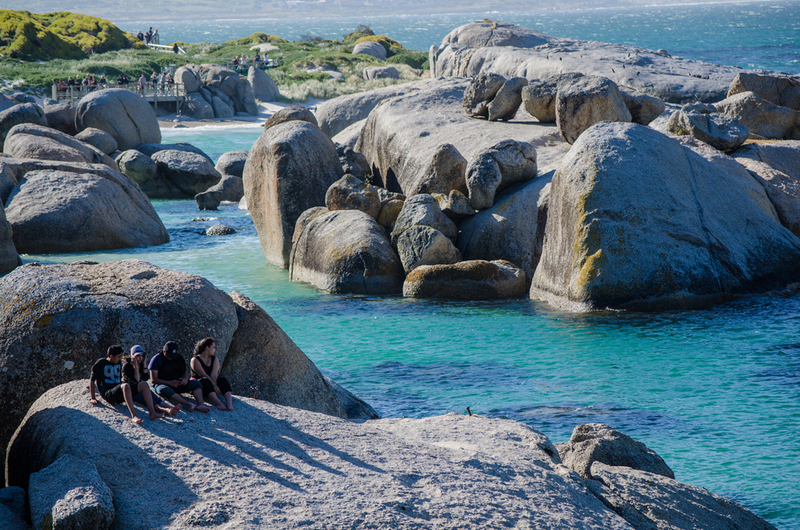 We like to experience the best of Cape Point by venturing to the hidden beaches for a picnic or hiking through the wilderness. There is so much more to see here than you’ll find on TripAdvisor! Wine is one of the finest and most famous local products from Cape Town. 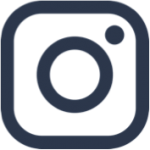 Wine has been produced here since the 1650s and continues to flourish in this region due to the Mediterranean climate of dry summers and wet winters. Although the Winelands region, found on the outskirts of the metropolitan, has the most prominent vineyards, Cape Town itself hosts some of the oldest treasured wine farms in the region. Wine tastings at Cape Point Vineyards is one of our favorites on the peninsula as it has the most incredible view of the ocean. 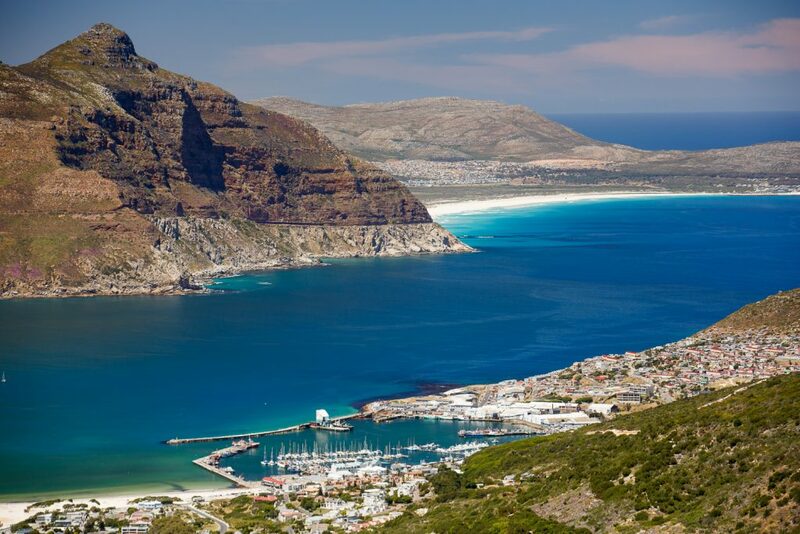 Muizenberg is a quaint seaside village in the South Peninsula, renowned for its cool vibe and colourful beach huts. 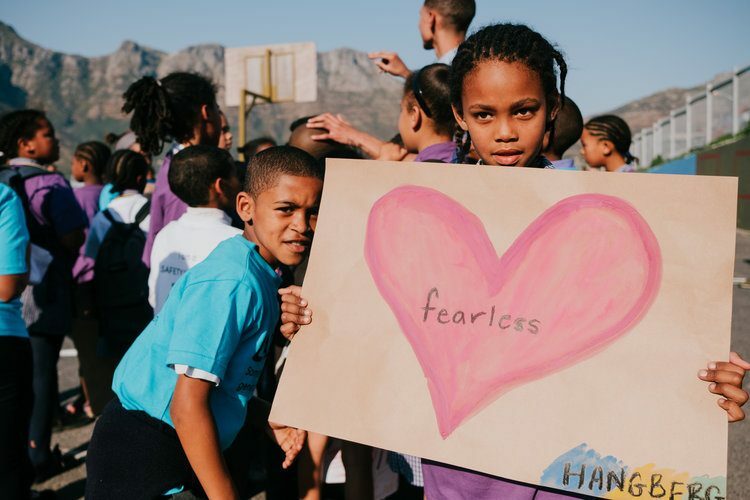 As the birthplace of surfing in South Africa, Muizenberg is considered the home of friendly waves and people. Learners and long-boarders flock here daily to catch a wave and chill out. 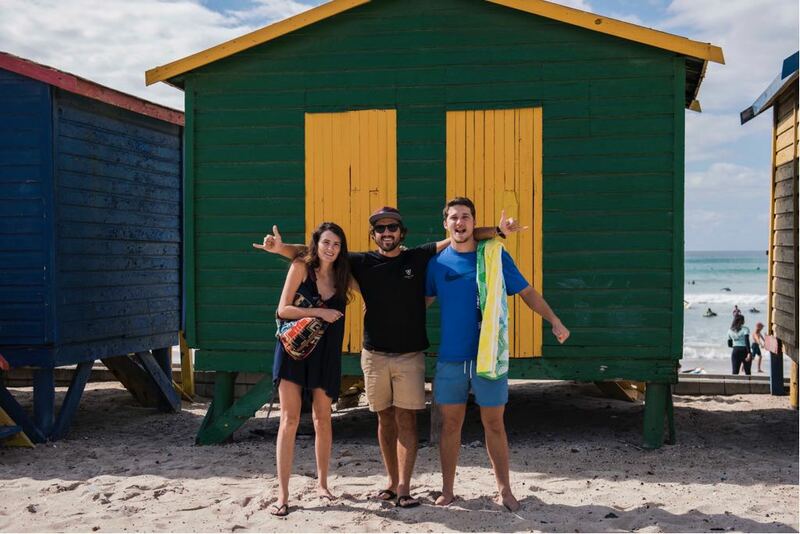 Muizenberg is definitely the best place to learn to surf in Cape Town as the waves are perfect for beginners. Catching that first wave is one of the best feelings in the world, especially when you are surfing this beautiful beach. Kalk Bay is a tiny fishing village with a retro, artistic flair. Recently named on a Forbes list as one of the ‘coolest neighbourhoods in the world’, Kalk Bay is a definitely a highlight on the peninsula. 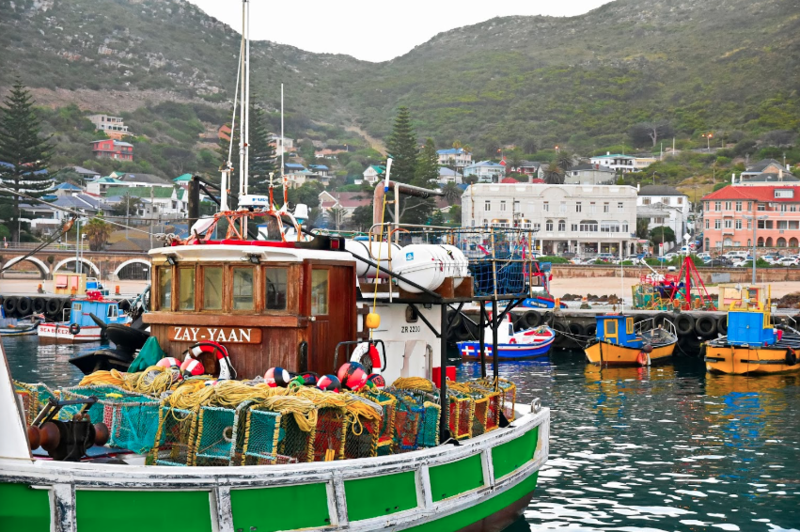 If you are mildly interested in vintage stores, quirky theatre, tiny cafes, or perhaps just the best local fish & chips in town, then you will love Kalk Bay. All of the quirk sits in the foreground of the old Kalk Bay Harbour, where local fisherman hook their catch and ride their rainbow boats out to sea. Wandering the streets and café-hopping is how we like to experience the hidden gems of Kalk Bay. The Cape Fur Seal, also known as the ‘dog of the ocean’, is one of the friendliest creatures in Cape Town. Although not as well known as other animals here, the Cape Fur Seal is endemic to Southern Africa and is a very important species for our surrounding oceans. 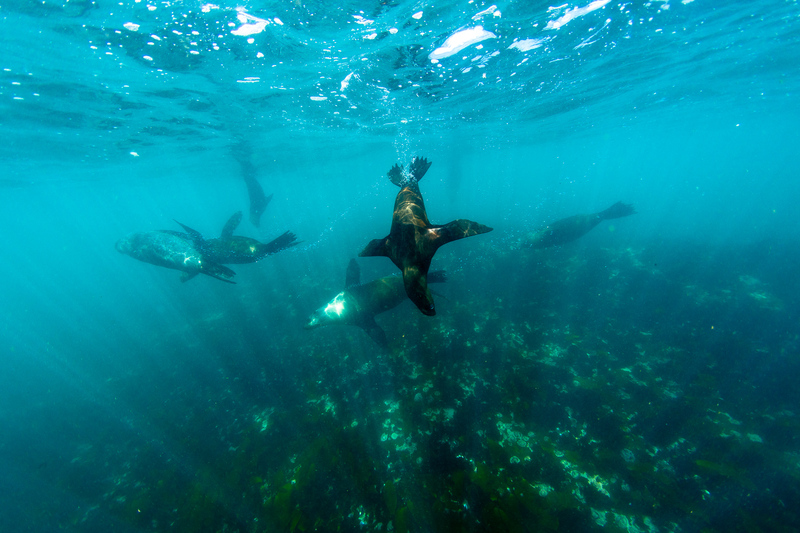 Snorkeling with Seals is an incredible way to experience and appreciate these creatures. In support of ethical tourism, the snorkeling is done with a professional team of conservationists from Animal Ocean. The peninsula is abundant with food to be foraged from nature. It may take some creativity and knowledge, but there is a meal to be found in unexpected places. 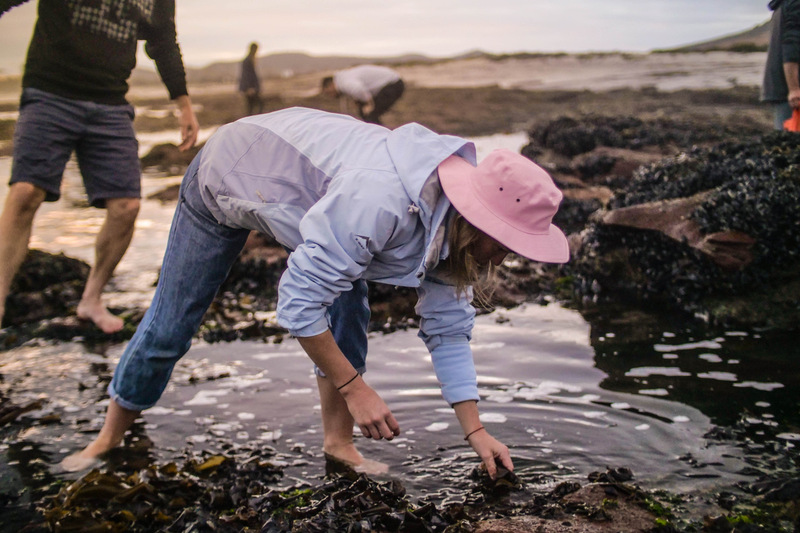 We love the Wild Food Foraging experience on the peninsula with our friends from Veld and Sea. Understand what nature has to offer by learning about the edible goods from the sea and mountains. Our guests always find this to be an enriching experience - especially when they taste the wild fruits of their labour. Cape Town has so many hiking opportunities, but none as thrilling as the Boomslang Cave. 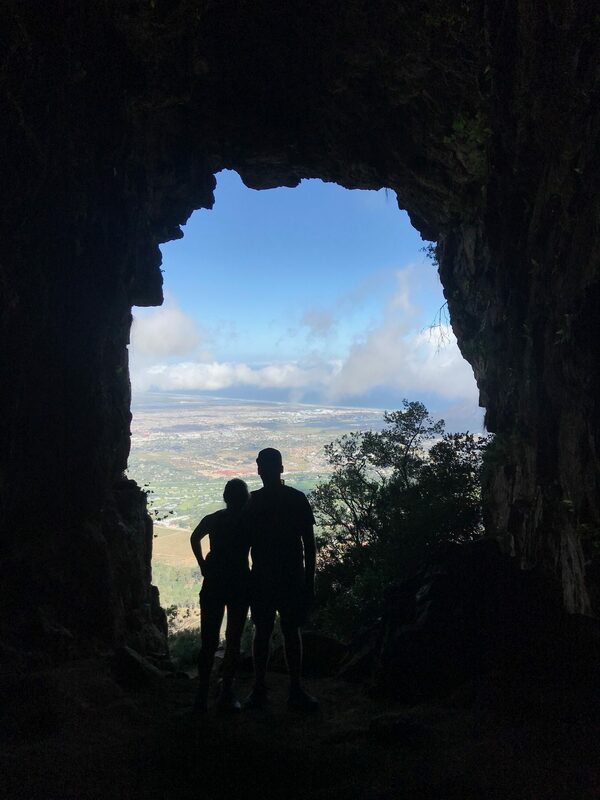 Located in the peninsula’s Echo Valley, the Boomslang Cave hike offers beautiful views and an opportunity tunnel from one side of the mountain to the other. It is a relatively easy hike and does not require any caving experience. All you need is a few directions into the cave and a bit of courage to head inside. We love this hike as it is mystical and off the beaten track. A trip to the peninsula is not complete without a visit to one of the local food and craft markets. Two of our favorites are the Blue Bird Market in Muizenberg and the Harbour Market in Hout Bay. 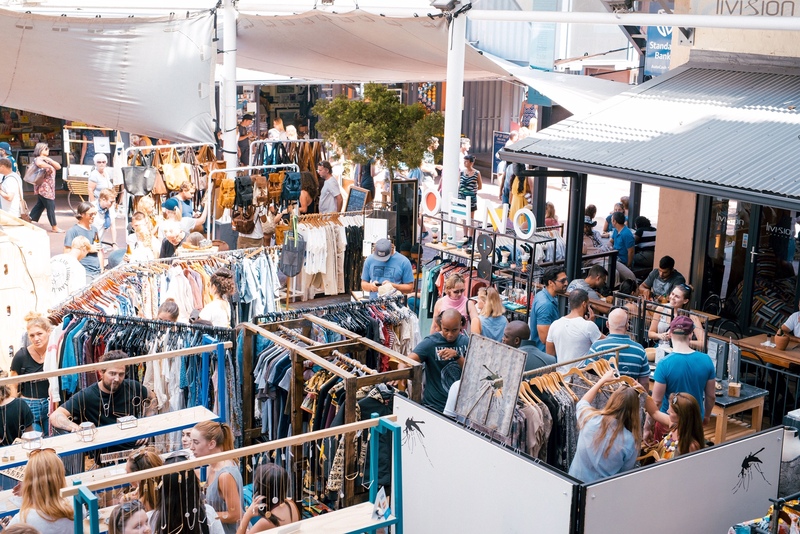 These markets are a world of sounds and scents, and provide a taste of the local art and cuisine that is found within Cape Town. Markets are important to the local economy, and we believe that supporting local people is crucial.